“Playing the best baseball possible” is the common goal amongst the alliance of 25 organizations that make up Premier Baseball. For years, the organization has hosted invitational tournaments for players typically between 15 – 18 years of age, ending each season with the national Incoming Freshman, Freshman, Sophomore, Junior and Senior Championships. Roughly 30 teams participate in each of the championships. In Springfield, the tournament begins with an opening ceremony at Hammons Field. Over the course of the week, the teams participate in pool play until the championship round. The competition is top-notch, and the win is well-deserved. In 2012, the Springfield Sports Commission (SSC) brought two national Premier Baseball Championships to the Greater Springfield Area for the first time: Incoming Freshman Championship and Senior Championship. Following the success of the championships in Springfield, the SSC successfully bid to host the championships for 2013. 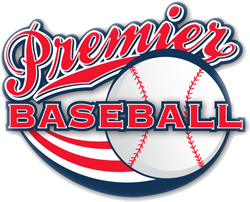 We are excited to work with Premier Baseball once again. As a stand-out organization, Premier Baseball has hundreds of its former players currently playing collegiate or professional baseball including: Albert Pujols, Scott Rolen, Lance Berkman and Josh Beckett - to name a few. The Incoming Freshman Championship is designed for players who are incoming freshmen in high school. The tournament participants include teams from Texas, Missouri, New Mexico, Wisconsin and New York. Tournament results can be found on the Premier Baseball website. During the Senior Championship, players are seniors in high school. You can expect to see scouts at this tournament featuring teams from New York, Texas, Missouri, Wisconsin, New Mexico, Nebraska, Oklahoma, Indiana, Louisiana and even a team that hails from Ontario, Canada. Keep up-to-date on the championship online by visiting Premier Baseball Senior Championship.